Once upon a time, there was a company which was kind of dominating the web spectrum – yes we are talking about Yahoo! The most used search engine of the web, is the past for Yahoo. But, still there are a few aspects where it leads. Mail is one of the old services Yahoo is providing and it is functioning till date. One of the major reasons it works, is its user friendliness and continuous updations to the service by the company. Based on our personal experience we consider it as the best Email service, better than its competetors. In order to woo more and more customers to use its Mail service, Yahoo now offers you more ways to sign in into the same. Yahoo knows that most of the web traffic flows towards social networks and hence Yahoo decide to do something very typical for them. 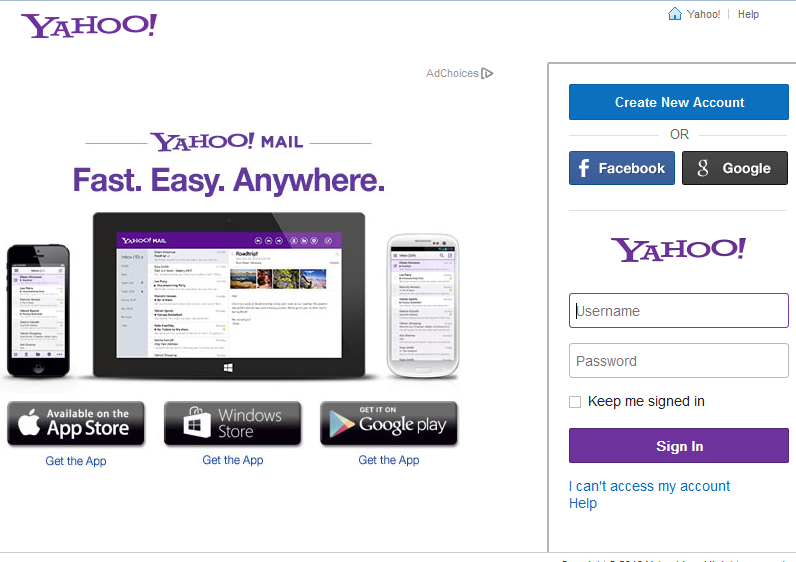 You can now login into Yahoo mail using your FaceBook or Google account! Yes, you may consider the companies as business rivals, but when it comes to business, everything which can be turned to positive for the business, the business had to do it, right? Seems so! After purchasing Tumblr, Yahoo is having millions of users and huge amount of data hosted on their server (in addition to what they had). All of them will be their target for ad serving and other business means (of course). Now if they can drive more traffic to their mail service, they will be having more people connected to them and that is a big market. (Remember, “in mailbox ads”). What you think about this strategic move by Yahoo! ?